Fancy having a bar come to your home and learning how to make cocktails? And more importantly, enjoying them with friends and family? Join the monthly cocktail club and experience new and exciting flavours and tastes mixed at home using easy to follow mixing instructions and garnish ideas to give a visual display that will delight your pals. 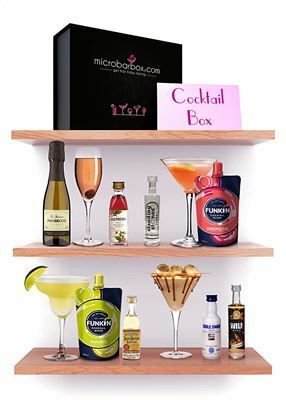 Each month your box, which is delivered free and contains about 8 units of alcohol, will contain new cocktails. You can cancel your membership at any time and this is a great way to try new drinks and brands without the expense of purchasing a full bottle. For more information visit Micro Bar Box.